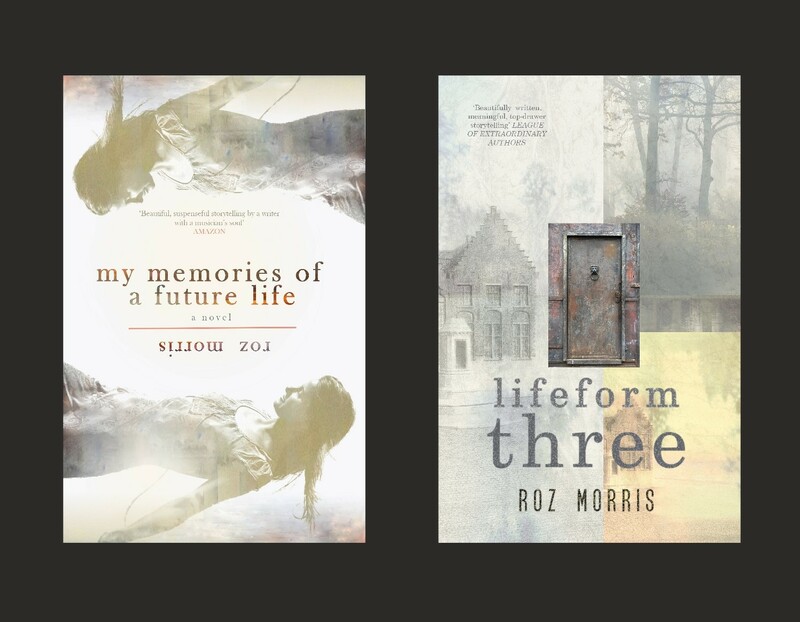 I’m delighted to welcome Roz Morris to be the first author to subject themselves to my questioning on the blog. I’ve known Roz for a few years now and her skills span editing, music and horse riding as well as writing. 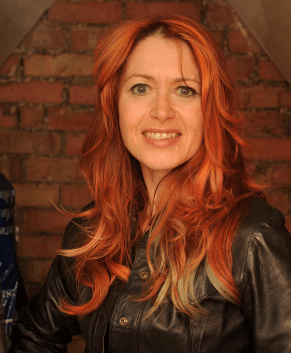 She’s a fellow member of the Alliance of Independent Authors (ALLi), but has also been responsible for major best-sellers in the traditional publishing field as a hugely talented ghost-writer – just don’t ask which books she’s written for much more famous names! This opens a new series which I’m rather grandly entitling “Author Insights: Six of the Best”, simply because I ask each of my guests six questions that I hope go to the heart of why they choose to earn – or attempt to earn – their living as writers. The intention is to have one writer as a guest every week, some of whom you will have heard of, and some of whom may not have hit the best-seller lists yet, but are beavering away to produce the highest quality work they can. Likewise, some will be self-publishing indies, whilst others will be ‘traditionally’ published. Feel free to leave your comments below. 1. What sort of writing you most love to do? Include as much as you like – fiction (including genre), non-fiction, blogging, copywriting, academic, courses, poetry etc. Definitely my fiction. I write stories about people in unusual situations of haunting – not in the paranormal sense, but the psychological sense (my first novel is called My Memories of a Future Life, which will probably tell you all you need to know). They evolve at a slow simmer – each one takes three or four years, while I research, build characters, explore nuances and try to understand why the idea intrigues me. So it’s a long process, and I like some parts far better than the others. I find the early stages alarming because I can get swamped with possibilities and that makes me panicky. But once a clear path emerges, it becomes very exciting. I guess I’m a completer-finisher. Then when I reach the end, I get separation anxiety. It’s as if I’ve built a complex civilisation where I feel at home and love the characters, even the rotten apples. Then I have to shut the door on them forever and go into the wilderness again. And right now, I’m working on a type of book that’s new to me – a travel diary. Each piece is like a short story, but constructed from true events. Mostly they’re humorous, but some are mysterious fragments or personal essays. It’s rather like making an album of songs. I’m loving it. 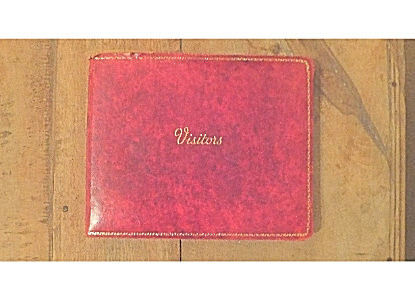 At the moment the working title is The Visitor’s Book, because it’s the stories I wrote when I was a visitor. It’s swings and roundabouts, to be honest. At the moment it’s very hard to earn from writing, so more of my income comes from editing, teaching and courses. But a few years ago the writing was completely paying the way. I think all writers need a fallback income unless they’re in a very high-selling genre and have a big enough catalogue to ride out the troughs in demand. The writer with a day job is nothing new – Kenneth Grahame, who wrote The Wind In The Willows, had a senior position at the Bank of England. In literary fiction, where each book might take several years to write, a day job is the norm – even for many of our most respected authors. I plan a lot. I think a lot. I write ideas on cards and shuffle them about. I don’t start drafting until I’ve got a firm outline. Then once I start writing, that outline goes pear shaped because the characters develop their own minds, so by the end of the first draft I’ve got something I didn’t expect. Then I put it on ice for a while, then come back and rewrite, and even more nuances appear. Each draft is a process of revelation, discovering what the book truly wants to be, and discarding old ideas that weren’t quite right. I’ve never counted the number of passes I do, but I wouldn’t be surprised if it was 50, maybe more. But sometimes a pass will be to adjust one small element – perhaps a motif or a use of a metaphor. Anyway, there’s a lot of creative revising. Verlyn Klinkenborg, who writes about rural farm life in upstate New York. He will start with a piece of baling twine in his pocket, which becomes an ethereal adventure catching runaway horses in the middle of a foggy night. Second, I’d choose Ray Bradbury, especially for Fahrenheit 451. Not only is he a beautiful prose writer with a startling imagination, that novel is a masterclass in the subtleties of pacing. I’ve taught it many times to writing students and I’m always finding new hidden ways in which it works. Nominations are best done in threes, so I’m going to take a wild shot for my third. Ian Fleming. He might not strike you as a writer’s writer, but his early James Bond books are a treat on the page, full of panache and darkness. He’s a helluva storyteller. Oh, I could go on all day. When I originally set out I hoped I’d get a book deal, would retire from all other work and live a pure life, turning out very satisfying novels. That wasn’t how the world of publishing worked at all, so part of my education was learning about the commercial realities. I also had to learn that writing is a long apprenticeship. The first novel I tried to write was well beyond my capabilities – and I meet a lot of first-time writers who are like this. Sometimes the result is a grand old mess, but it can also make you raise your game and might be the making of you. Because I seem to be a publishing misfit. I’ve queried all my books with agents, and always been told they were a good read but wrong for the market. I have a rejection for Lifeform Three that says: ‘This is the most original novel I’ve read for years but I’ll never find anyone to publish it’. That’s been the story of my writing life. 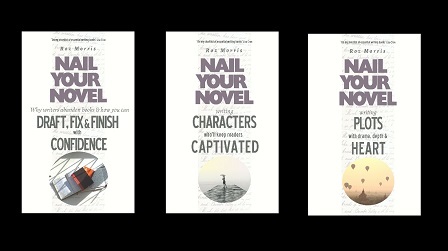 My first indie book was Nail Your Novel, based on my experiences mentoring writers. Publishers told me it was too short to be economically viable, but I’d deliberately kept it concise because I knew that writers’ time was precious. Why write a long book when a short one says it all? I self-published and people seemed to like it. Meanwhile, I’d been querying a couple of novels. Publishers were interested in me because I’d already been a ghostwriter for a few years, writing novels that other people put their names on (little-known fact – celebrities don’t write their own novels!). That was a terrific experience, but I wanted to carve a style of my own. Editors and agents leant on me very hard to churn out genre blockbusters, and I could have made a very healthy career like that. When I queried My Memories of a Future Life, I had editors from the Big Six (as they were then) trying to persuade me to rewrite it as a copycat of The Time Traveller’s Wife. They’d probably have marketed it well, so it would have been a bestseller. But I couldn’t bear to. It would have ruined the book. I self-published, and I think it’s the best thing I ever did. Before then, I felt I was a fraud because I’d never had a novel out with my own name on, and my own vision. When I released Future Life, I felt I’d come of age. And I definitely felt that when Lifeform Three (the book that was ‘too original’) made the longlist of the World Fantasy Awards alongside Neil Gaiman. Looking back on my early hopes as a writer, indie publishing has given me what I was looking for. It’s not easy, but it’s given me the space to develop my style and discover who I should be. All the authors I admire wrote their books with truth and integrity, they didn’t follow market fashions. Our books outlast those anyway. Thank you for your time and excellent answers, Roz! Thanks so much for inviting me to your blog, Henry! You’re welcome, and thank you Roz! Great answers. lmao – I’m cheering you on! I’m a big sci fi / speculative fiction fan, both genre stuff and the more esoteric, and I loved both your novels Roz. I’m quietly stunned that the bigger publishers felt they couldn’t market your novels: speculative fiction readers are an open minded lot and I think they would love your books. The issue is that they are marketed as literary fiction, so they are invisible to many readers who think that means plotless pretension. Both your novels are far from that, full of subtleties and questions about the human condition and pacy compelling plots that would satisfy many a sci fi fan. Easily equal to Bradbury or Le Guin. I wonder what the reception to your novels would be like if they were marketed differently? I know that’s not your style, but it might be an interesting experiment?